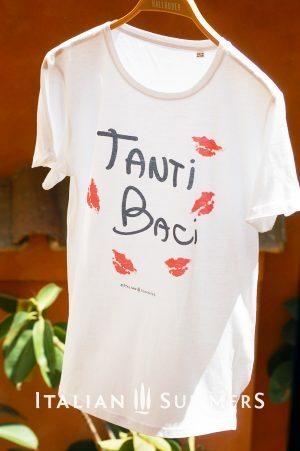 T-shirt LA DOLCE VITA! This stylish t-shirt features a print from one of our original hand painted designs. La Dolce Vita, Via Veneto, Marcello and Anita, the joyous fashion of the Italian sixties. 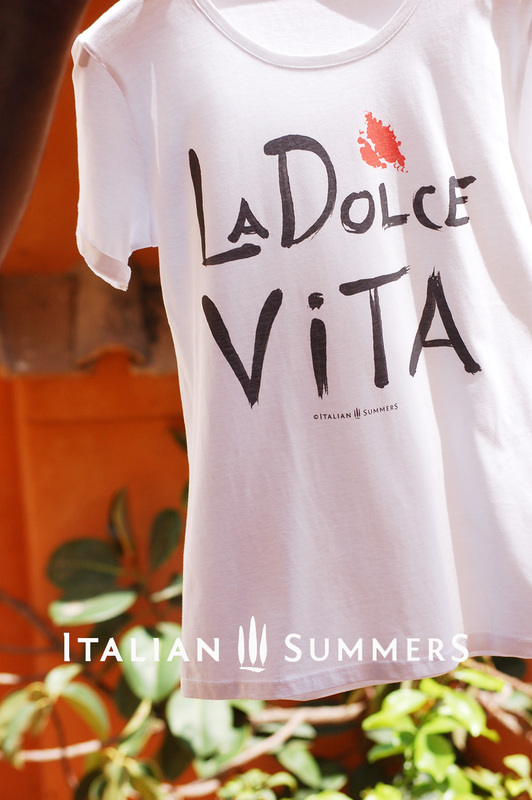 Live your Dolce Vita your way! Unisex T-shirt white, loosefit, organic cotton. Size attention! This is a loosefit shirt, if you want to wear it like a normal fit ORDER ONE SIZE SMALLER than you normally wear! Check your size here! 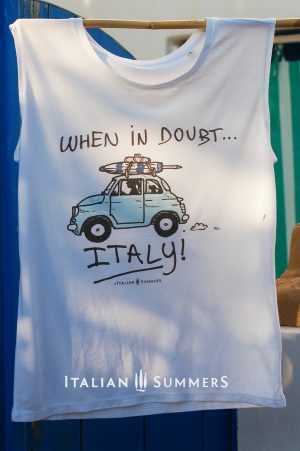 NOTE: For shipping outside of the EU please contact us at info@italiansummers.com and we will provide accurate shipping costs promptly. 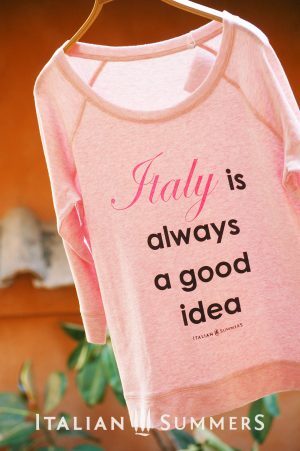 Don’t jump in to the Trevi Fountain, jump into this cute shirt!